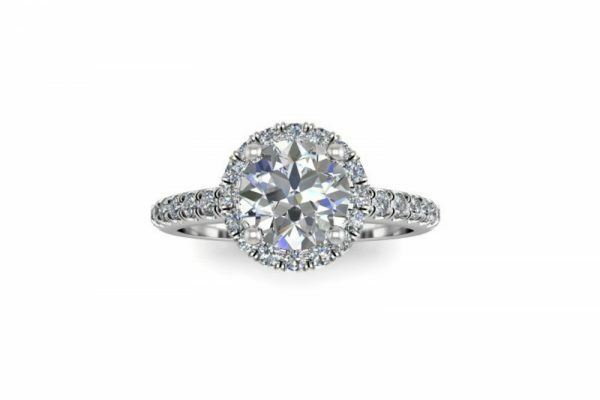 This stunning round halo engagement ring shines from every angle. 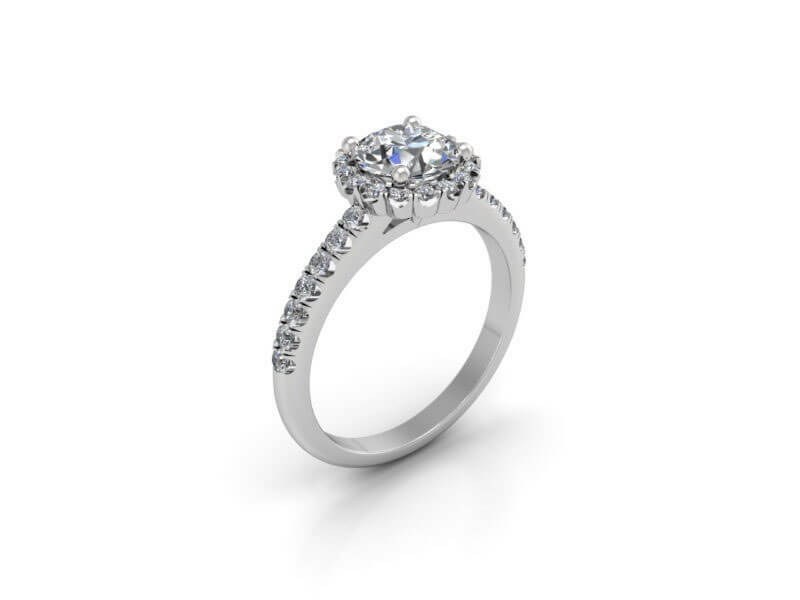 It is enhanced with a beautiful GIA certified centre solitaire and encircled by a brilliant halo of diamonds and shoulder side-stones for attention-getting sparkle. 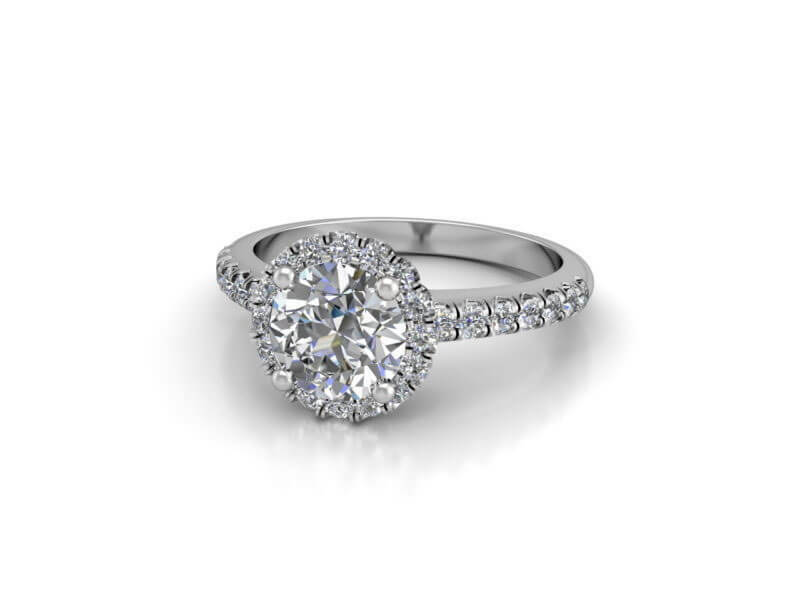 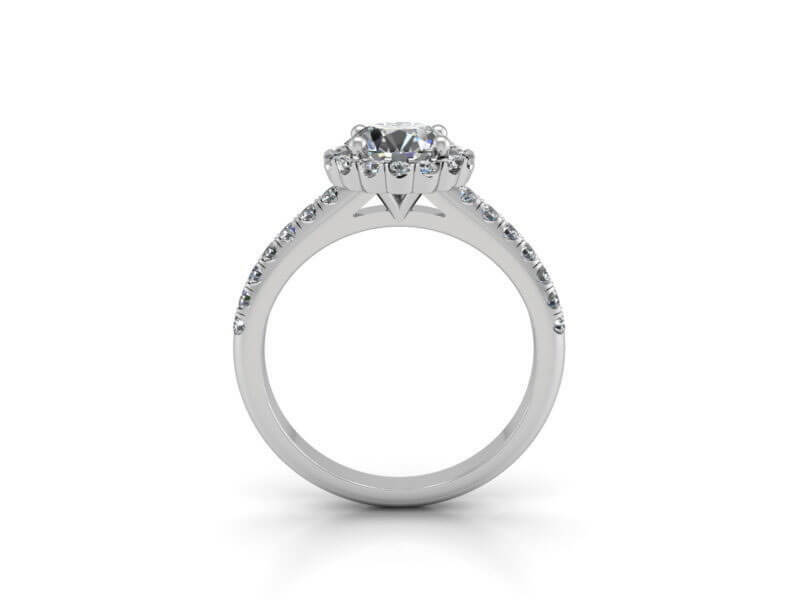 This designer engagement ring is perfect for lady’s who love elegant designs with a modern touch. 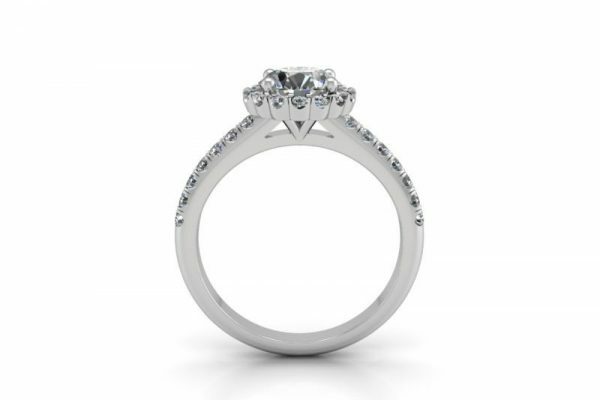 Each Medusa ring features a certified diamond with a quality grading report from GIA. 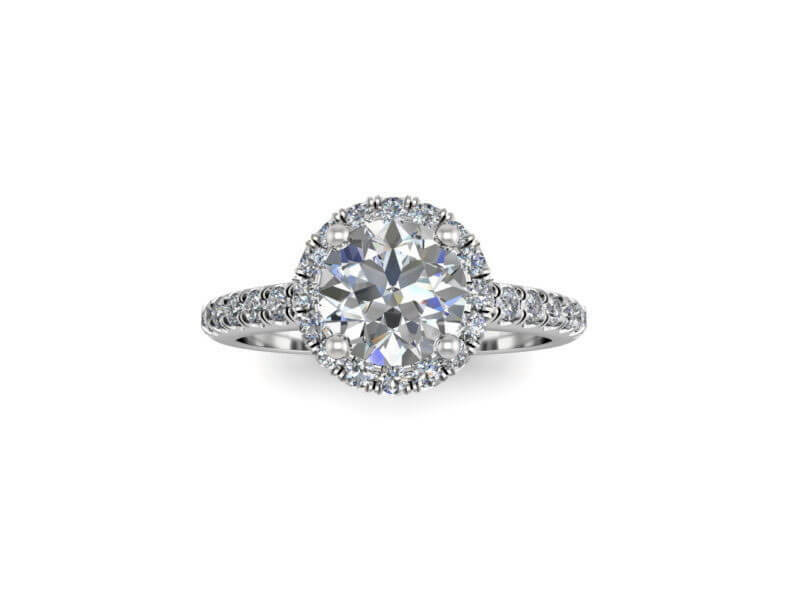 A halo of 16 brilliant diamonds surrounds the main stone. 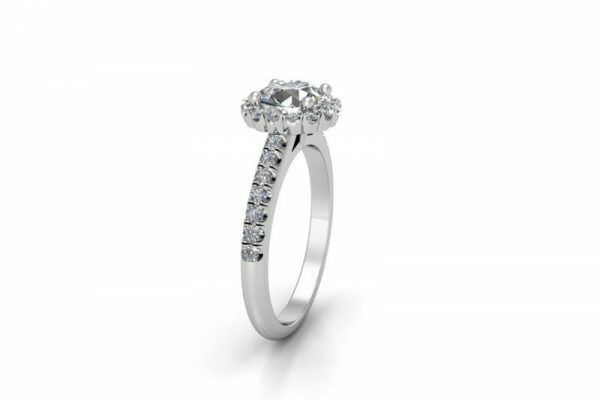 Along the band, 14 side-stones give this ring a spectacular sparkling finish. 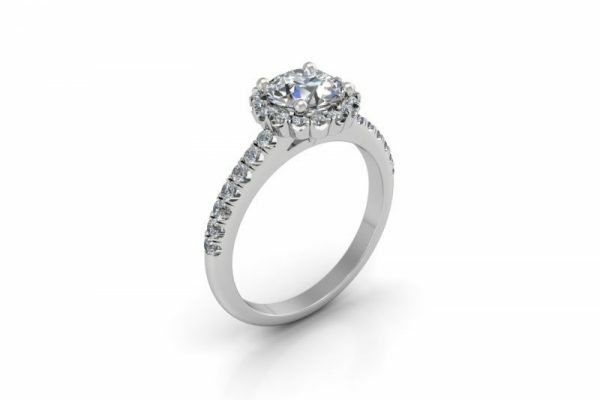 With a selection of centre stones from 0.50CT to 2.00CT and a choice of diamond grades ranging in colour from D to H and clarity from VS to SI, you’ll be able to choose the perfect ring to suit your taste and budget. Custom made in your choice of precious metal like platinum or a combination of 18K white, yellow or rose gold.